Abstract: Successful deployment of robotic assistants in social environments necessitates these systems to be furnished with high-level cognitive abilities, such as planning and diagnostic reasoning, to be able to deal with high complexity and wide variability of their surroundings, and perform typical everyday tasks robustly and without sacrificing safety. In the presence of humans, robotic agents need further abilities, such as commonsense reasoning, explanation generation, and epistemic reasoning, to be able to collaborate, communicate and live with humans. We have been investigating the use of Answer Set Programming to endow robotic agents with such cognitive capabilities, considering various robotic domains, such as service robotics, medical robotics, and cognitive factories. In this talk, we will share our experiences of using Answer Set Programming in robotics applications, and discuss its strengths and weaknesses as a knowledge representation and reasoning paradigm to integrate Artificial Intelligence and Robotics. Biography: Esra Erdem is an associate professor in computer science and engineering at Sabanci University. She received her Ph.D. in computer sciences at the University of Texas at Austin (2002), and carried out postdoctoral research at the University of Toronto and Vienna University of Technology from 2002 to 2006. 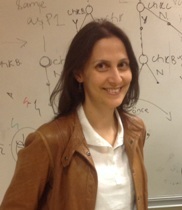 Her research is in the area of artificial intelligence, in particular, the mathematical foundations of knowledge representation and reasoning, and their applications to cognitive robotics and computational biology. Abstract: The field of logic programming and nonmonotic reasoning was born in 1991, when a number of researchers working in “the theoretical ends” of logic programming and artificial intelligence gathered in Washington D.C. for the first LPNMR workshop, which was organized by Anil Nerode, Wiktor Marek, and V.S. Subrahmanian. I was privileged to attend this meeting; to closely observe the development of the field over the past 28 years; and to witness many remarkable achievements, which in 1991 I would not have believed to be possible. In this talk I plan to discuss some of these achievements and share a number of personal observations on the field’s history, current state, and possible future directions. Among other things, I will comment on the development of powerful knowledge representation languages, the design and implementation of non-monotonic reasoning systems, and use of these languages and systems in formalizing various types of knowledge and reasoning tasks. The talk is not meant to be a survey of the field, rather it is my personal perspective limited to a small, but important, collection of topics I am most familiar this. Biography: Dr. Michael Gelfond is a Professor Emeritus in the Computer Science Department at Texas Tech University. He received the M.Sc. from St. Petersburg University, Russia in 1968 and a Ph.D. from the Institute of Mathematics of the Academy of Sciences, St. Petersburg in 1974. His main contributions are in Knowledge Representation and Reasoning and in Declarative Programming. He is best known for his contribution to the development of the Stable Model/Answer Set Semantics of Logic Programming, the Answer Set Programming Paradigm, and Theories of Action and Change. 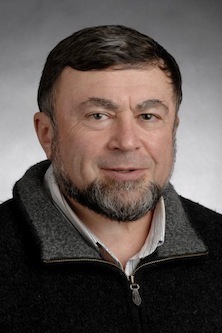 Dr Gelfond is a fellow of the AAAI and the recipient of three Test of Time awards for most influential papers by the International Association of Logic Programming. Abstract: The talk will cover 2 broad areas: (i) the role of logic in providing human-understandable explanations of forecasts produced by complex machine learning models, (ii) the use of logic based methods for reasoning about deception in cybersecurity. In the first part, I will describe BEEF, a framework that generates logic-based “balanced” explanations (which explain both why a forecast might be correct and why it might be incorrect). BEEF is capable of operating “on top” of any binary classifier. In the second part, I will describe logic-based methods to lead an attacker astray when he successfully penetrates a system by providing him fake results in response to scan requests. I will conclude with suggestions on how the LPNMR community may build upon these ideas. Biography: V.S. 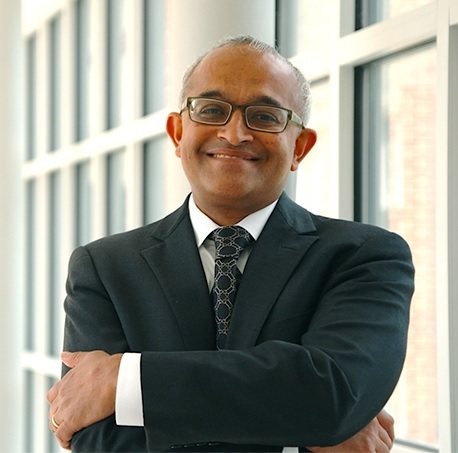 Subrahmanian is The Dartmouth College Distinguished Professor in Cybersecurity, Technology, and Society at Dartmouth College with tenure in the Computer Science Department. Cybersecurity, Technology, and Society (ISTS) at Dartmouth College. Prior to joining Dartmouth, he was a tenured Professor in the University of Maryland’s Computer Science Department. He served a 6.5 year stint as Director of the University of Maryland Institute for Advanced Computer Studies where he co-founded the Lab for Computational Cultural Dynamics and founded the Center for Digital International Government. His work stands squarely at the intersection of big data analytics for increased security, policy, and business needs. Prof. Subrahmanian has been an invited speaker at the United Nations, Capitol Hill, the Mumbai Stock Exchange, and numerous other prestigious forums.